I used Cloudways for my clients in the past and have always been a fan. Divi Engine has always been on Siteground since day 1. 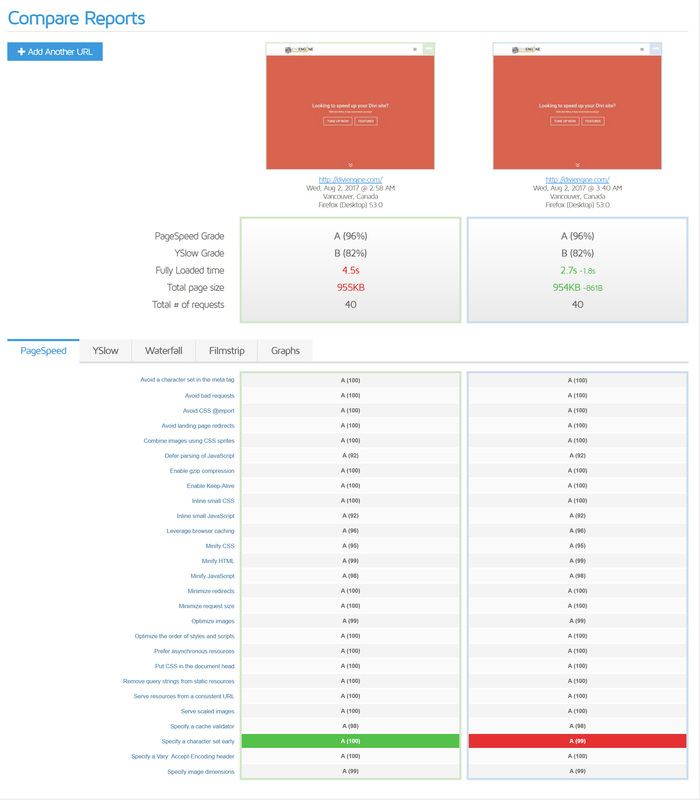 Always striving to get better results we thought about moving Divi Engine to Cloudways to see the difference. See for yourself below. As you can see above it didnt nessesarily change the gtmetrix score but did reduce the site load time from 4.5s down to 2.7s ! A MASSIVE improvement. So this sounds great, but isn’t it hard to move servers with issues along the way? Not really with Cloudways. See how to below! 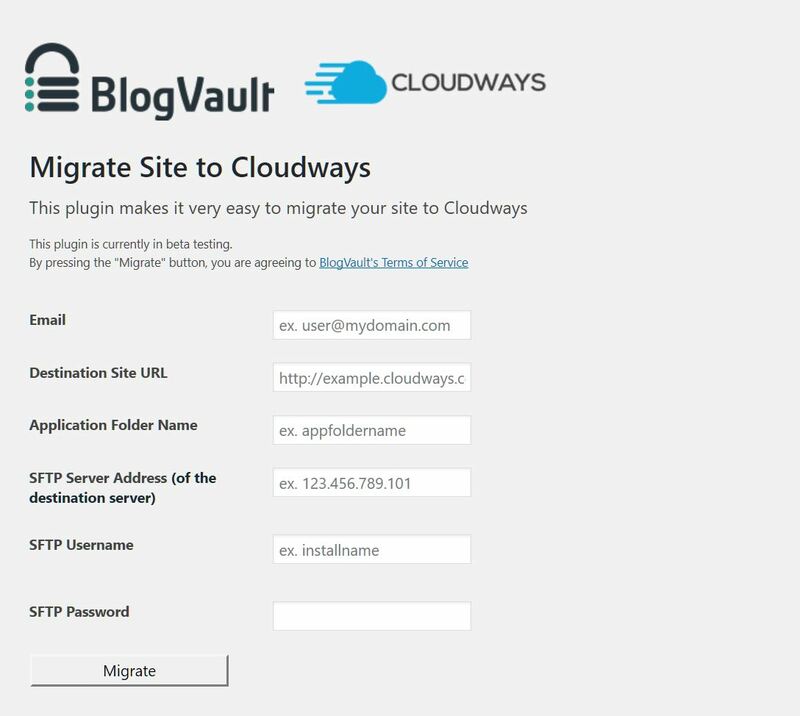 So the first thing to do is to install the Cloudways Migrator – this does all the work for you. 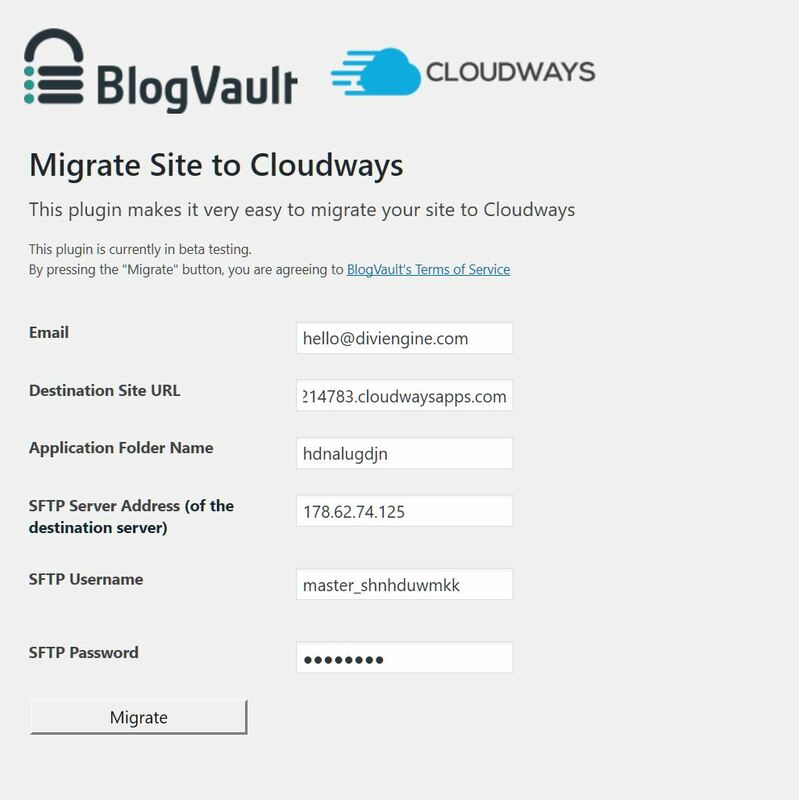 Go to your plugins > add new and search for “Cloudways WordPress Migrator”. Install and activate. You will now be presented with various fields to fill out. This would be your email address. This is application name – you can find this as it is your db Name and username. So go to Access Details tab under your application settings and look under MYSQL ACESSS – there you will see a wierd name – something like hdnalugdjn – that would be the folder name. As per the server address, but your Username would be what you need to enter here. As per the server address, but your Password would be what you need to enter here. Press migrate and you will see the progress of it all being moved. Go for a cup of coffee, stretch your legs, do whatever and when you come back it will be moved. It will show that is is complete. So the next thing to do is to change the primary domain name from the long name ending in cloudwaysapps.com to your domain name that you want. So using the example above I would change wordpress-215435-5214783.cloudwaysapps.com to be diviengine.com. NOTE: This will update the database too so no need to be changing it there, it will change all the url in the database to be your new primary domain. 3 – Remove default themes and plugins that get added when setting up a Cloudways WordPress application. Tell us what you think as it saved us around 1.5 seconds in load time.